Good for our healthy. Can be consumed daily in the morning. This detox water can be stored in the freezer before consume. 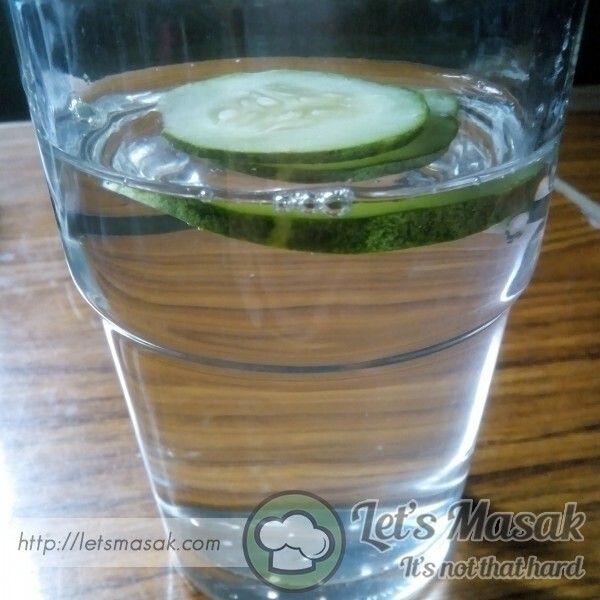 Put cutted cucumber in the glass together with warm water.